one of Colorado’s fastest growing and most vibrant cities. Published every January (Thanksgiving ad deadline), Aurora Guide is distributed at more than 250 outlets with a readership of 240,000 residents, newcomers and visitors. The once-a-year schedule gives advertisers — through the incredible shelf life — a unique opportunity to target their message and brand their enterprise. Aurora Guide has an attention-grabbing 4-color presentation on glossy stock. This guarantees the advertiser the demanded high-quality opportunity and provides the reader with an attention-getting format. The Aurora market is one of the most desirable in the Denver metropolitan area with nearly 300,000 residents on the eastern edge of the Mile High City. Aurora is a family-oriented community with a median income of over $60,000 and a median home value of over $275,000*. 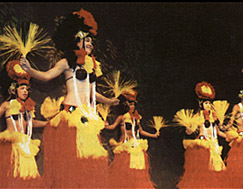 Where do these well-heeled consumers look for local recreation and entertainment information? Since 1999 they have been attracted to Aurora Guide. Editorially, Aurora Guide delivers an attractive mix of engaging features, visitor’s information and Aurora’s definitive guide to recreation, entertainment and dining. The dozen day-trips presentation and events listing are just two of the many features that have locals keeping their Aurora Guide in a handy location. Aurora Guide provides an enticing editorial package in an annual publication that provides targeted consumer-marketing opportunities to a desirable demographic readership. 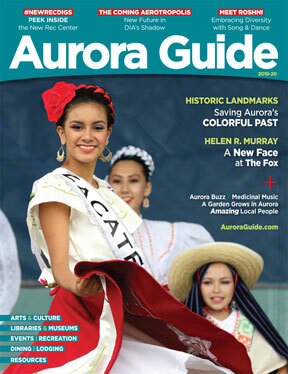 For in-depth information on how the Aurora Guide will benefit your enterprise call 303.443.0600 or 1.800.903.2532. Aurora Chamber of Commerce Members receive a 10% discount.